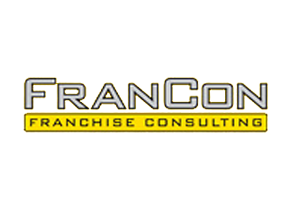 If you plan to franchise in Finland and Scandinavia FranCon Franchise Consulting is the No1 franchise consultancy company in Finland. We have assisted Finnish and international franchisors for over 20 years. We have been developing most of the franchise systems operating in Finland. We have helped numerous international franchisors in starting their operations in Finland and Scandinavia as well as Finnish networks in expanding to international markets. FranCon Group has also two other business: Franchise Business College for training services (www.fbc.fi) and Ketju.fi for franchisee recruiting services (www.ketju.fi). Henri Laakso is leading franchise consultant in Finland with over 25 years of experience in franchising. He is the owner and CEO of FranCon Franchise Consulting. Henri has been consulting hundreds of Finnish and international franchisors and franchise systems over the years.He is the author of three business books (of franchising) and several other publications. He has been awarded with several acknowledgments of his work for franchising – for example from Finnish & British Franchise Association and UKTI.